Somewhere deep in my subconscious lies a certain nostalgia for school uniforms, though I last wore one when I was about 5 years old, back when my family still lived in London. Maybe if I had worn them any longer, my nostalgia would’ve been replaced by loathing, I don’t know. Inspired by this nostalgia, I decided I needed a pinafore dress. 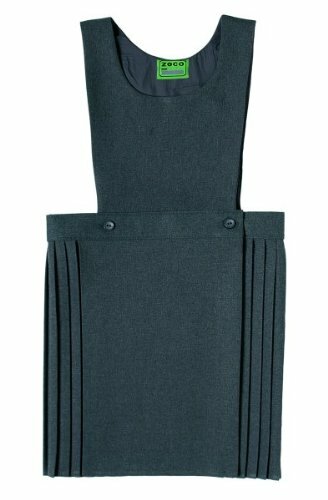 This children’s bib pinafore on Amazon was the one that really inspired me in terms of construction, strangely enough. 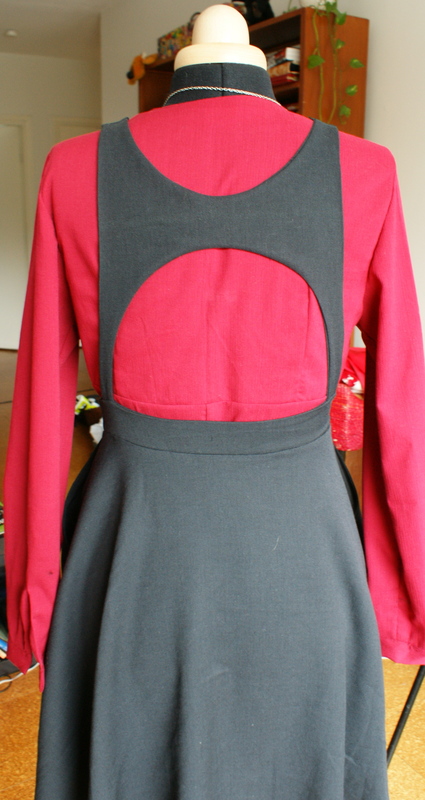 I wanted to go for a vintage-modern feel (if that makes any sense at all), so I drafted a simple pattern with a 1/2-circle skirt and pockets. 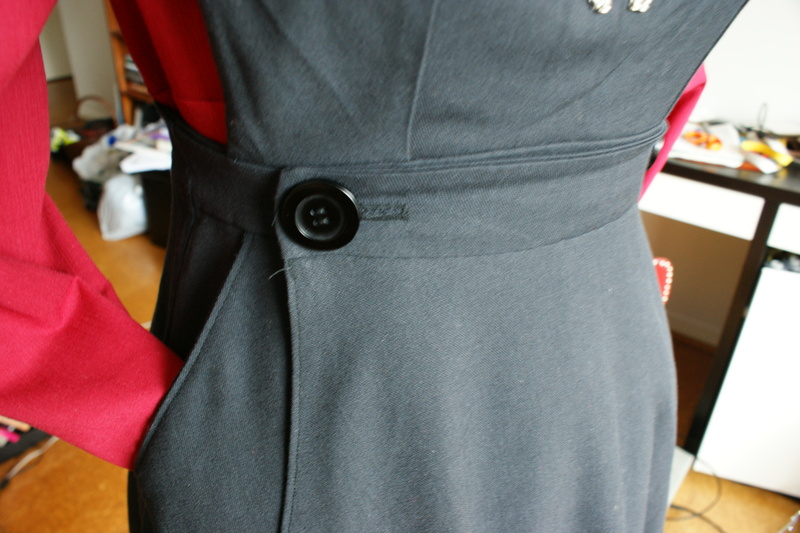 The fabric is a slightly stretchy black wool-mix. On a side note, the weather here in Helsinki is ridiculously depressing. It’s almost Easter and it’s STILL FREAKIN’ SNOWING OUTSIDE. On the other hand, Finnish spring is always like this – the ultimate tease. A few warm and sunny days that melt away most of the snow and then BAM! more snow. Argh. Great back detail – and a wrap dress, too. Looks very cool. Wow, this is a beautiful dress! And exactly what I ways wanted. Would you consider making one for me? Thank you! I am very busy at the moment though, and usually only make clothes for close friends, so unfortunately I will have to say no to your request.